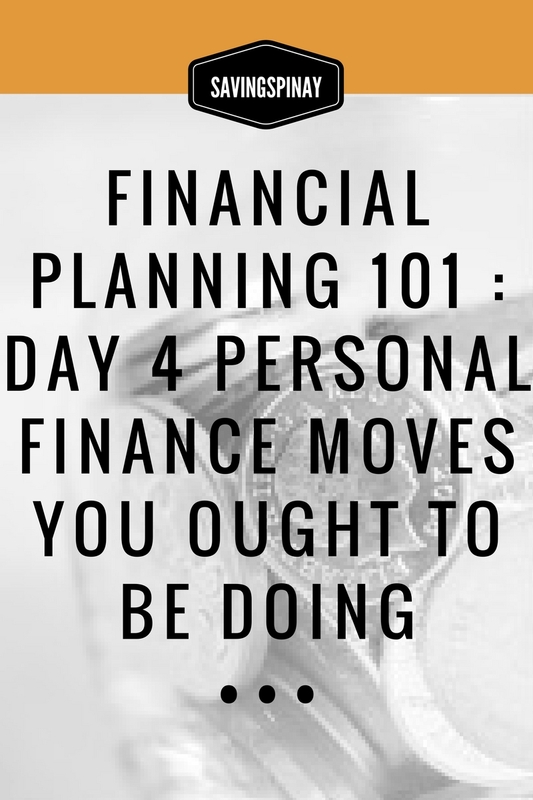 This will be the last day of Financial Planning 101 but we still have tomorrow’s overview with free infographic to look forward. I hope you enjoyed the January SavingsPinay Series from Day 1, Day 2, Day 3. One common mistake that people make in terms of managing their money is the lack of financial plan. Many overlook the importance of a solid financial plan jumping to small and big financial decisions that could affect their life entirely. Having a solid financial plan provides one a blueprint to follow. It gives a direction and an outline to cover an interesting story. There may be bumps along the way but it will surely lead to a more secured financial future. The next lines are financial moves your ought to be doing in the different stages of your life. I categorized it in your 20’s, 30’s-40’s and 50’s-60’s. As you read along you may find yourself left behind. Maybe you are already in your 40’s but still have not known how to budget or how to save your money. Don’t worry. 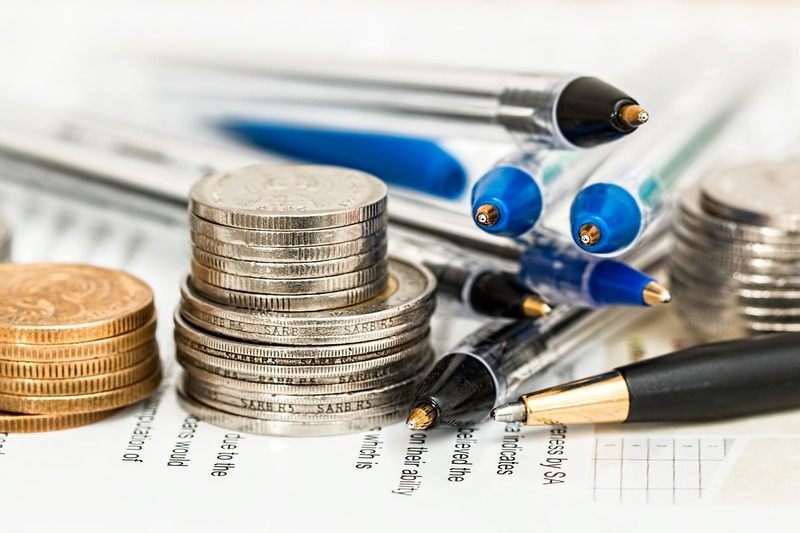 The mere fact that you are eager to learn and you are willing to change your financial journey is a big advantage. I’m sure you can still manage. 20’s is considered as the active years. It’s a time that we are focusing on our careers. It is also considered as the most productive years of our financial life because we have all the energy to spend finding means to earn money. It would be nice if you spend even 30-60 minutes of your day reading financial books or going to personal finance blogs. Get as much education as you need and learn from how others manage their money. This is such a crucial financial move that you should do. Making them part of your habit especially now that you are just starting to build a life as a grown up is important. If you learn to make a budget and stick to it in your 20’s you;ll most likely inherit it as a habit that will make you rich. For more information on budget click HERE. There’s no better time to start an emergency fund than your 20’s. You have less financial worries, less responsibilities and less problems. Emergency fund should be 3-6 months worth of your income. This will be your reserve in case of emergencies like losing your job, a loved one and natural disaster. Find a lifestyle suitable to how much money you have. You can’t live like you are earning 25,000 a month if your total income is just 13,000. You need to be thrifty and to spend your money wise. The consequence of not living below your means is debt. You don’t want to be in debt in your 20’s because it should be a decade wherein you are planting good seeds for your future. If debt is unavoidable then make sure you have a plan to get out of it as soon as possible. Don’t let yourself be trapped in debt. READ: Ayoko sa Utang! 5 Days to be Debt-Free. 30’s-40’s are somewhat a stage to take your finances seriously. If there are financial moves you didn’t do in your 20’s then you owe it for yourself to really do them now. This is also a stage where you’ll get married and start building your own family. Thus, your priorities will change massively. Again this is a stage where when you are starting to become more mature in terms of how you decided for your finances. Make sure to review and reassess your goals. There may be goals that are important when you were 20’s but now seems too far from the life you want. Insurance is part of the elements of a solid financial plan and as much as it is important to create in your 20’s you can still achieve one today. A life insurance and a health insurance should be part of your priority. You can also start saving for your kids’ education. Continue saving up but this time save up for your retirement years. Go for long term investment vehicles that can give you a better return of money in 20-30 years from now. How much money you should have in your retirement years depends in the lifestyle you want to live. More information about retirement soon in this blog. Owning a real estate in your 30s-40s will be a nice investment. It is actually better if you achieve it in your 20’s but doing it today is still OK. Some delay purchasing a home but there are plenty of benefits when you have successfully bought a house. You can save a lot from renting, you can rent it to others and have it as another source of income. Or increase your income. Now is the best time to work harder than before in growing your source of money. A business is ideal that matches your budget and your passion. Consolidate with your spouse if its within your goal as a couple and soon as a family. The retirement age is meant to be raising your children and taking care of your aging parents. You may also be the one that must be taken care of at this point but there are still financial moves you can do within this age. I’m sure your salary and hopefully your income too is gradually increasing. You may have accumulated unwanted debt towards your lifespan. It will be financially liberating to finally be free of your debt. Who would want to pass the duty of paying debt to their children right? Make sure to follow some of the steps presented in October SavingsPinay Series. I know that a will or trust is most likely the last of your to do list. One, it’s uncommon for Filipinos and two, we always think that its meant for rich people only. But getting a professional to take care of your assets is essential. It will avoid chaos within the people you will left behind. I know this may be too morbid but of course you have to at a solid financial peace too now that you are in your retirement years. It’s way easier to be at peace especially if you have already established a good financial planning and taken all the steps in consideration. READ: How to be Financially at Peace in Your 30s, 40s and 50s. Everything that you do today for your finances is important. Set your mind, heart and soul for financial freedom. You only have one life to live. Do everything that you can to live a peaceful and inspired one.